First of all, I wanted to be the first person to use that ridiculous headline. Ozzie Guillen, meanwhile, is blogging about global warming. And Sox fans are left twiddling their thumbs waiting for something, anything interesting, all in the hot stove that was supposed to come to a "fast boil" with the new sped up timeline. Geez, somebody throw a pie or something. First, speaking of pies, it looks like big Bobby Jenks is going to be eating his next one in a different city, as the Sox made official what everybody suspected since mid-July by non-tendering their closer, marking the end of Jenks' six year tenure in Chicago. JJ covered why that move, although sensible, is bittersweet and risky. It is hard to (literally) overshadow Jenks, but Ken Williams did just that this afternoon by swiftly signing his long-time crush Adam Dunn to a five-year, $46 million contract that will be announced tomorrow, if the Twittersphere is correct, after Dunn passes his physical. Williams has been publicly lusting over a left-handed power bat for the middle of the Sox order, and he now has one that is a mortal lock to hit 40 bombs with a lot of strike outs, a lot of walks and not much defense. In other words, the new Jim Thome has arrived to the Sox. 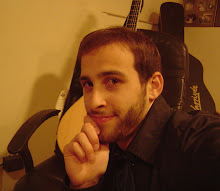 The 2010 Ozzieball-style versatile-DH era is ov-ah. It is significant to note that Dunn represents the first major free agent (from another team) the Sox have signed since Albert Belle in November 1996- 14 years ago. The fact that this deal came together so quickly and is already finalized is utterly amazing. While I've never been a big fan of Dunn, it is hard not to like what he will bring to the plate for the Sox in 2011. 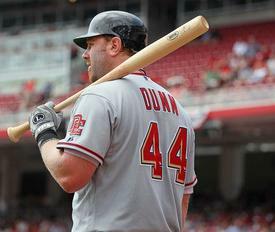 Dunn has a career line of .250/.381/.521 in 10 seasons with the Reds, Diamondbacks and Nationals. He is a consistent home run hitter, netting between 38 and 40 homers annually for that past six seasons, including the last two in power-unfriendly Washington. I hate the cliched line that "coming to the Cell will up his homer total", but there is a huge difference from cavernous Nationals Park to the cozy Cell. A 50 homer season in 2011 is not out of the question. While he technically knows how to wear a glove on his non-throwing hand, his defense was best described by SoxTalk poster KennyHatesProspects as "like he has a beer in his hand and doesn't want to spill it." Funny, and pretty true. Yet the 31-year-old Dunn stated repeatedly that he didn't want to be viewed as an exclusive DH on the free agent market, so what split of playing 1B and playing DH does Williams have in mind with this signing? There was this other guy the Sox had at 1B for the last decade or so... ah yes, Paul Konerko. Internet speculation has it that the Sox are hoping to move fast on a de al to bring back Paulie now as well, which would either mean Jerry Reinsdorf took a flying leap off the top of the Sears Tower or that there is more money than initially believed lying around for the 2011 team payroll. As crazy as it sounds, it seems more realistic now that the Sox could have the opportunity to bring both Konerko and catcher AJ Pierzynski back, as the markets for both players aren't anything special at the moment. If Konerko, whose current large offer out there is from perennial doormat Baltimore, prefers playing for a contender, what better way for the Sox to increase their attractiveness than by signing a slugger to protect him in the line up. Pierzynski, to whom the Sox wisely did not offer arbitration, missed out on chances to join the Marlins (who signed John Buck), Rangers (Yorvit Torrealba) and now Red Sox (re-signed Jason Varitek today), whittling his suitors down even further. Is it conceivable the Sox could re-sign AJ now for less than $4 million in 2011? It does appear that Konerko is the next order of business for Williams. If Konerko is brought back, it would almost certainly mean Carlos Quentin will have to play RF, a dangerous proposition that can be tolerated by watching Paulie and Dunn hitting 3-4 in the line up. If Konerko decides to move elsewhere, my hope is the Sox call on Derrek Lee to play first base in 2011 on an incentive-heavy, one-year deal. The option of Dunn playing first remains in play, but I doubt many in the Sox organization would be happy with that arrangement. Oh, and the Sox exercised shortstop Alexei Ramirez's 2011 option for $2.75 million today as well. So quite the busy deal at 35th and Shields. And all this before the flurry of next week's Winter Meetings. In one day, the Sox have changed the whole scope of the offseason. I don't really like Dunn but he should help a little.